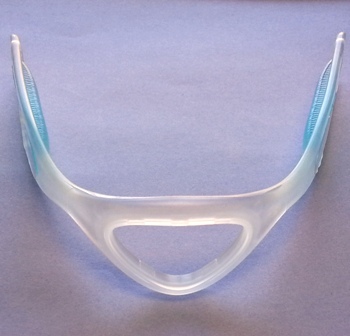 Philips OEM replacement frame for the Nuance Pro nasal pillow cpap mask system. Please Note: The Gel Pro frame will only attach to the Nuance Pro headgear. It will not attach to the Nuance fabric headgear. I have used this plastic frame for several years with no problems. This is the second one of these I have had. They break just days after the 90 day warranty period. Would not recommend.